you can have a square or rectangular aspect. 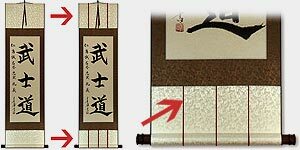 If you choose a rectangular aspect, the calligrapher will use a longer piece of paper, may stretch the character vertically, and probably write an inscription related to the artwork. The inscription may say "Written in Beijing in 2019" in Chinese along with the calligrapher's signature. 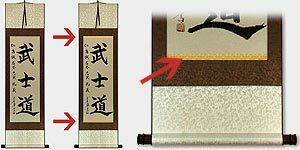 Vertically, on the side next to the main character.